A major attraction in Southern California is the world renowned theme park, Disneyland and it is one of the reasons travellers pick this part of California to visit. The IHateTaxis.com team keeps a watch on transportation around the area and gives you all the information you need about Disneyland Shuttle and Bus Services to make stress-free arrivals at the Magic Kingdom and your nearby hotel. 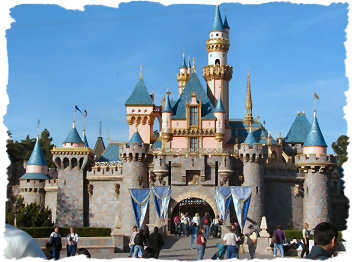 You might also want to review our Disneyland Park page. We have complied a list of useful transportation options to Disneyland below. Los Angeles International (LAX) is served by more airlines and is the most popular destination. While most travellers fly via LAX, several of the other airports are also good choices and depending on airline company, may be a more economical option. At IHateTaxis.com, our preferred form of transport is that which costs nothing and there are a number of complimentary hotel shuttles available from any one of the surrounding airports offering services directly to Disneyland if you are staying with them. Have a look at the Shuttle to Disneyland Park page for more information about the shuttle service provided.